The figure used for this unit is a Heroclix figure from the Veteran Hypertime set. Its model number and name are #066 / Changeling. The figure used for this unit is a Heroclix figure from the Rookie Hypertime set. Its model number and name are #064 / Changeling. As a figure with a secret identity, Changeling has these Secret Identity Synergies. As a Metahuman, Changeling has these Metahuman Synergies. As a Titan, Changeling has these Titan Synergies. As a figure with the Super Strength special power, Changeling has these Super Strength Synergies. As a figure with the Super Strength special power, Changeling interacts differently with these special powers. As a potential flying figure, Changeling may interact differently with these special powers. As a potential tiny figure, Changeling may interact differently with these special powers. Tiny, large and huge figures cannot be chosen for the Python effect of Changeling's Attack Metamorphosis special power. Last edited by Ronin; February 6th, 2019 at 09:36 AM. Before moving normally, you may choose one animal form for Movement Metamorphosis. • Ferret: Changeling is considered tiny, may move through all figures and never takes leaving engagement attacks. • Owl: Changeling gains the Flying special power. • Stag: Add 2 spaces to Changeling's move. Before attacking normally, you may choose one animal form for Attack Metamorphosis. • Gorilla: Roll 1 additional attack die. • Panther: Choose one additional adjacent figure to be affected by this attack. • Python: Instead of attacking you may choose a small or medium figure adjacent to Changeling and roll the 20-sided die. If you roll 12 or higher, the chosen figure receives one wound. Before rolling defense dice, you may choose one animal form for Defense Metamorphosis. • Porcupine: If Changeling rolls excess shields when defending against a normal attack from an adjacent figure, the attacking figure receives one wound. • Rabbit: After rolling defense dice, Changeling may move up to 2 spaces. He will not take any leaving engagement attacks when moving with this special power. • Turtle: Roll 2 additional defense dice. Last edited by Yodaking; June 30th, 2018 at 03:25 AM. This is where we last left the design and I'm still pretty happy with it. Although looking at it again I see it can use some refinement. Also not sure on where we should start the points testing at, he seems like he could come in around 200 or so. Looking at the move segment, while the extra move will certainly be good for moving up into the fight quickly and the flying will be very good at moving up to higher ground or crossing water, I suspect the Rhino power will be most often used and thus drive his points there. Once engaged in a fight, he'll be charging around the battle trying to trigger as many unblockable rolls as possible. As such I was thinking of maybe reducing his base move down to 4 to keep the number of unblockable die rolled per move to a minimum. Will still be a good squad swarm counter move though when combined with his Bear attack. On the attack front, the +2 should be used most often and the price driver. The T-Rex power will be nice vs. 1W per att. figures, ie. MD figures, Conan, Luke Cage, etc., but that is only maybe 5% of the field. Bear attack will be best for crowd control, that leaves the big hit as his go to move. Then on defense, I see myself using the +2 def. anytime I'm facing an attack of 5+ dice. The free move will be nice for multiple attacker to avoid some def. rolls. Then the counterstrike one I think I'd use vs. lower attack rolls of 1-3 dice. Do we want to clarify only vs. normal attacks for this power? The 4 dice attack rolls would be on a case by case basis. So once again I suspect the +2 def. will be the most often used and thus the price driver. While I kind of like the idea of him switching forms in between each attack roll, I figured we should at least talk about the idea of having him choose before the first def. roll and then be locked in for that whole (figure) turn. It would come into play vs. something like Swordplay where you might want to Turtle up at the beginning, then Porcupine at the end. Also I'm thinking we clarify that you must choose before the attack dice are rolled, so you can't wait and see if your opponent whiffs on 7 dice and then pick Porcupine. That gives him 6/6 att/def stats for most of the game. As for the mini, I have the one listed so I can get those pics if the art team does not also have it. Not sure on the mini background though, any ideas? Here are some comic pics options though. Any thoughts from the CRB? My big concern is just, well, how is this going to look on the card? The formatting is a pretty huge break from precedent. Not against it in theory, but I'm curious if it can work aesthetically. 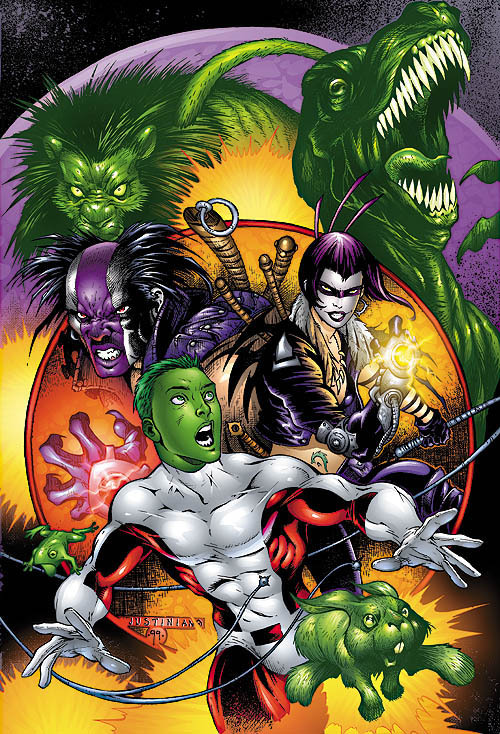 For the animals listed, I'd kind of like to avoid those already represented by Beast Boy's transformations. Maybe swap Cheetah for Horse, T-Rex for Lion, and Bear for Brontosaurus? Or something like that. Get as many animals in play as we can. For the defense triggering once per turn or once per attack, that's really up to balance. No preference on my part. For your first point. I think Arkahm or I can figure something out. For your second point. That sounds like a reasonable request. Though I could see the otherr side of the arguement saying...well you can't actually play the two versions together anyway. Also, it may not be that big a deal anyways...what if someone decides they like the Rhino power and they want to create a Rhino version for the other Beat Boy? I'm only bringing that up because I thought about creating a Rhino form with Rhino's Rhino Charge power some time ago. I even picked up a Rhino animal figure to paint green. @Yodaking ...don't get me wrong I like what you are doing and it is an easier version to play (and I'll take any help filling a Titans wave I can get) but I'm curious as to your motivations for a second version. What specifically do you not like about the first one? I think we talked about it before but I don't remember and it may be worth it to have it in this thread anyways. Just so the question isn't asked later. Last edited by japes; February 27th, 2018 at 11:28 AM. Well, as far as Doom Patrol, they all are very aware of their own mortality and that they are almost living on borrowed time. I'd go with maybe "Stoic." 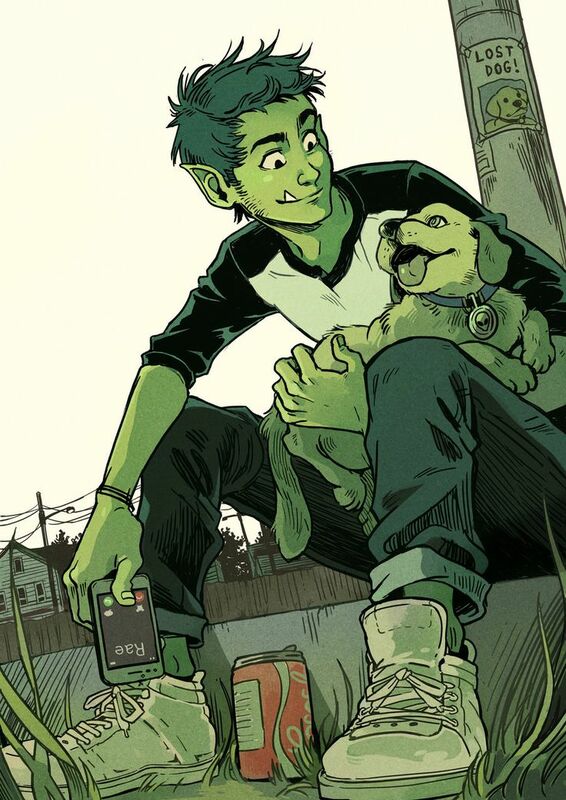 I dunno if that suits Beast Boy, though. He's never struck me as the stoic type. If we wanted to be a little on the nose, we could go with "Doomed". Maybe not a 'personality' in the strictest sense, but we've used "Cursed" on a couple units and it's not any weirder than that. Bringing this over from the Teen Titans discussion thread. I guess we never settled on what personality we could use to hook the Doom Patrol together with. Doomed looks to be the last suggestion. Any other ideas before I change the personality here to Doomed? 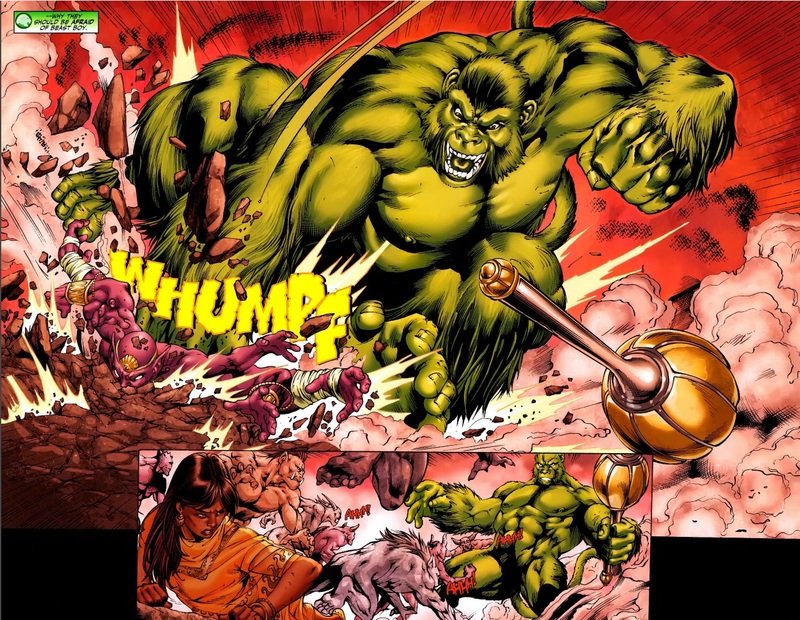 So I see the Cheetah form for Beast Boy has engagement strike in addition to the base move of 8. So it wasn't a full copy, Horse works great as a move only bonus. The Changeling mini I have has him mid transformation into a Gorilla so I definitely want that one in there for animal forms (plus all the Gorilla figures we already created have a base attack of 6). Then their is another changeling mini option that has him turning into a Tiger, so maybe use Tiger instead of T-Rex or Bear? 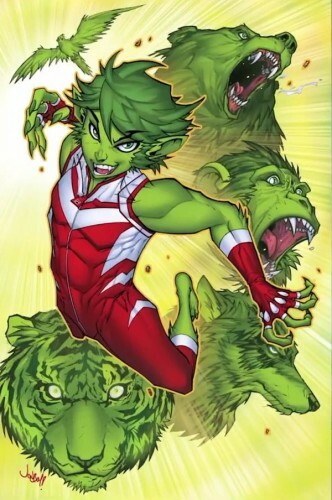 But then there is also a Green Tiger Beast Boy form so that form overlaps the two design spaces in terms of minis available. My thought process on the T-Rex = extra wound after the fact is the idea of him having a very strong/big bite so he is essentially chewing on you when he scores a hit, 1W for the initial attack and then 1 additional W later from a double chomp move. The Bear = additional figure effected by the attack was along the lines of a double claw swipe useful for squads. Tiger could fill either theme I suppose. I really like the ability to choose all those different animal forms, and I love how you've listed them by name rather than just listing the effect - makes it clearer to declare in game and sprinkles the needed theme - rather than a dry 'I'm boosting Changeling's attack', you can say 'Changeling's turning into a cheetah/horse' - much more fun. Mostly I just wanted a simpler one card version at a flat cost. I know I would use him much more often as every time I look at the multiple cards required version I just grab someone else. Also from a theme perspective he seems to switch forms pretty rapidly so I find the idea he can switch as needed during each phase of a turn much more fun/accurate. As for the animal names, at the end of the day it doesn't really matter all that much to me. I think I reused cheetah because it was the same effect. I used other animals based on the theme (porcupine, rhino, jackrabbit). I feel rhino really does sell the theme the best (no LEA due to rhino armor, unblockable die due to horn attack/charge) but I also have been wanting to get elephant on their too and I suppose that could work for the same power. 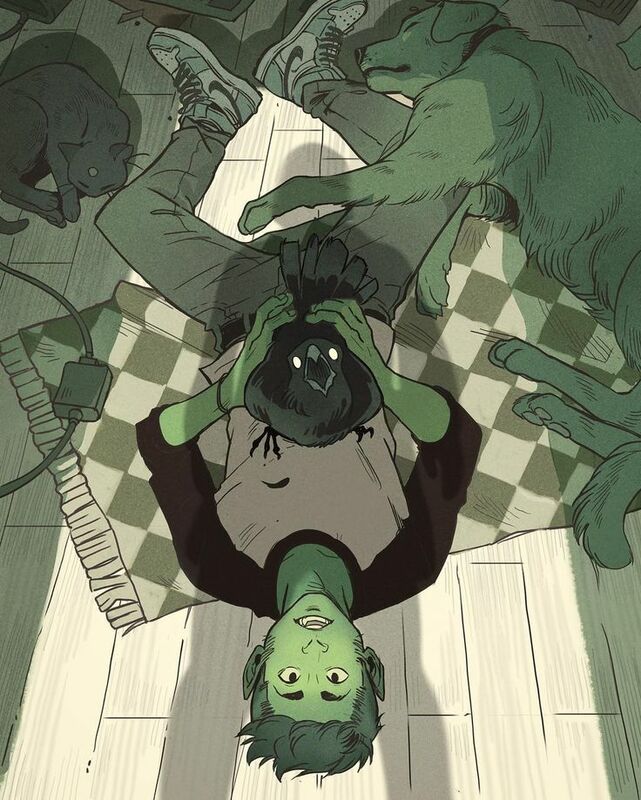 I do think the animal powers granted here should be different than Beast Boys' animal forms where ever possible. Some overlap wouldn't be all that terrible though. 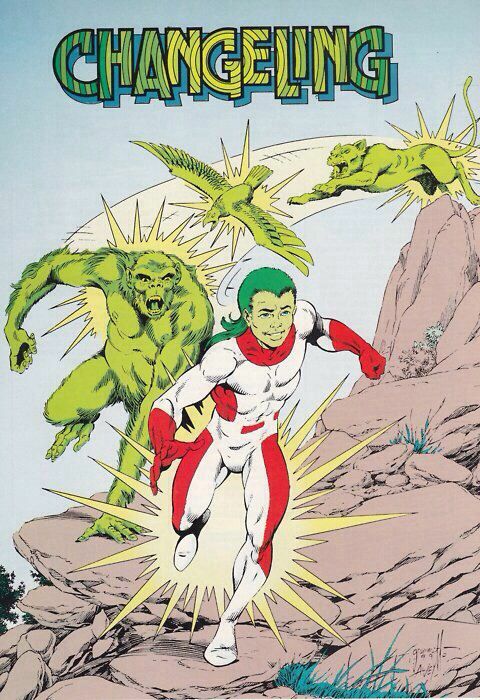 I also tend to ignore Beast Boy because I find his figure-swapping too finnicky. For personality - I know someone in public had some Doom Patrol ideas. Can't recall who. Maybe worth checking for their input?